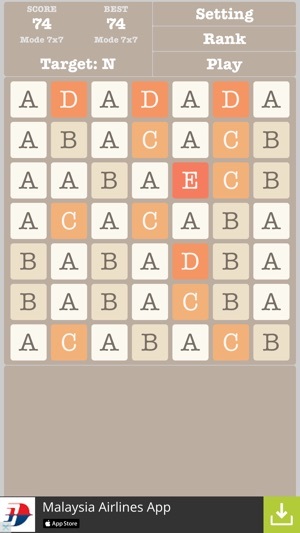 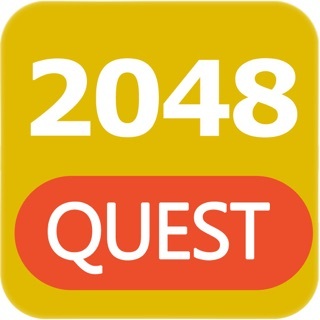 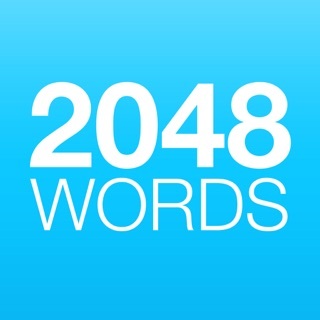 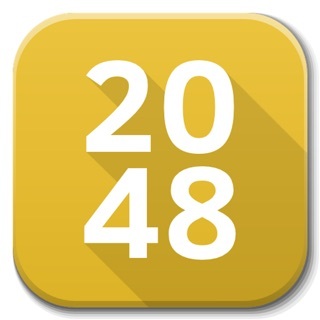 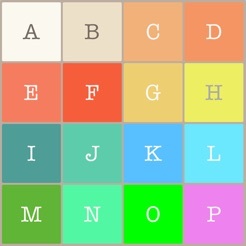 - 2048 Alphabet Multiple Mode is an interesting and very addictive game. 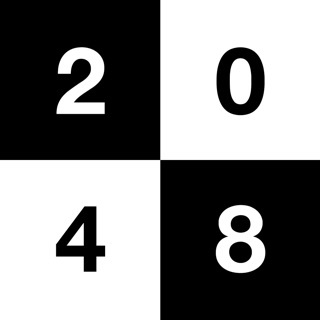 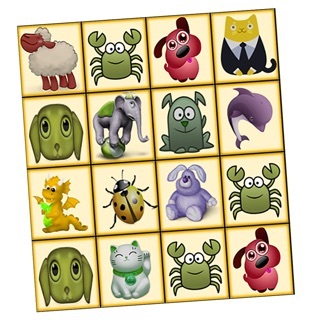 - You can play this game with a lot of mode 3x3, 4x4x, 5x5, 6x6, 7x7. 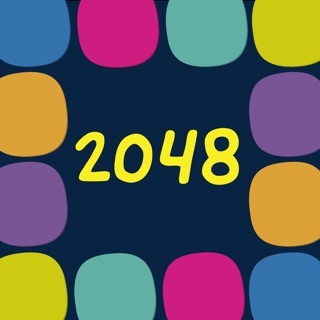 - This game is also the best of 2048 alphabet game. 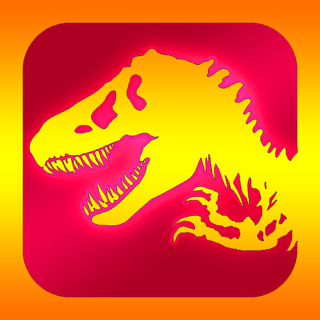 Used to like the app but something has changed! 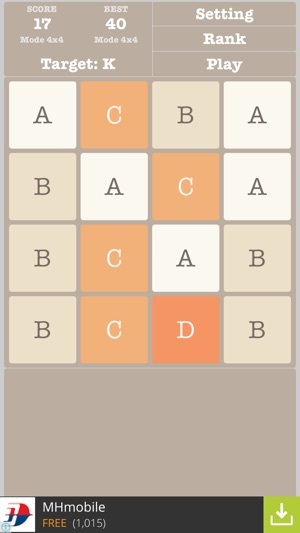 I loved this app when I first got it as it would add only one tile with each move. 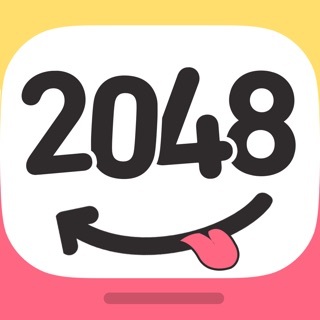 Somehow, I'm guessing through an update, it has changed. 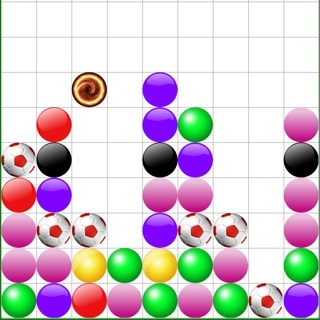 With each move it adds two tiles which makes it impossible to keep up with. 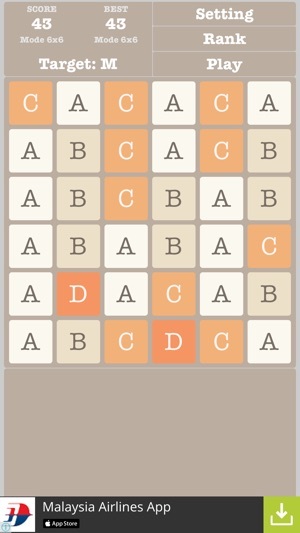 I wanted a relaxing game, not to lose within 10 moves each game. 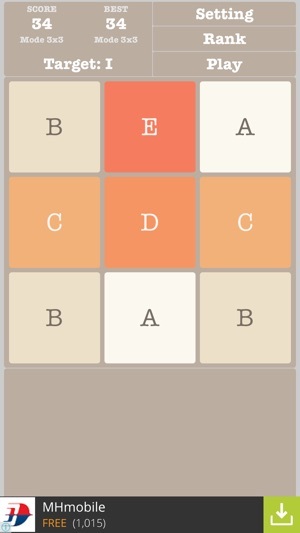 Suggestion: make it optional to play in easy or hard mode. 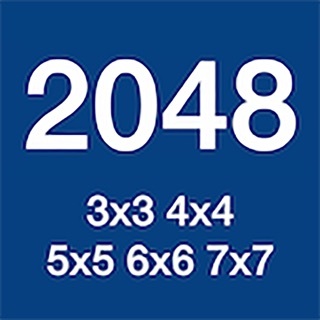 2048 : Puzzle Game Brain it on Merged Numbers !